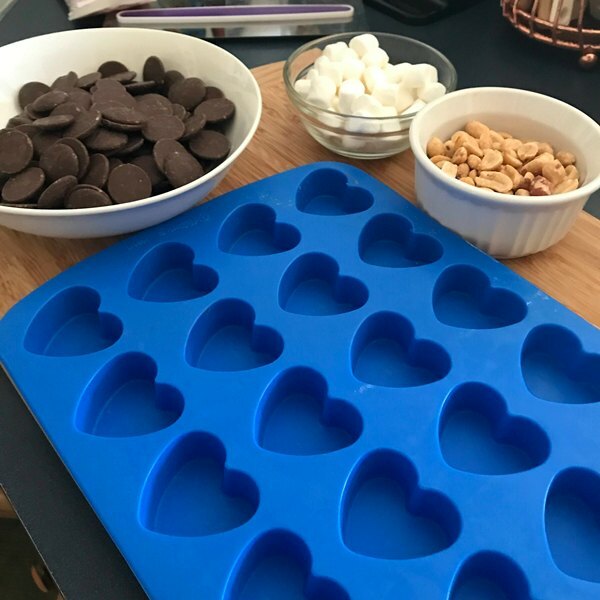 Using melting wafers is an easy way to make tasty bite sized treats for Valentine’s Day. 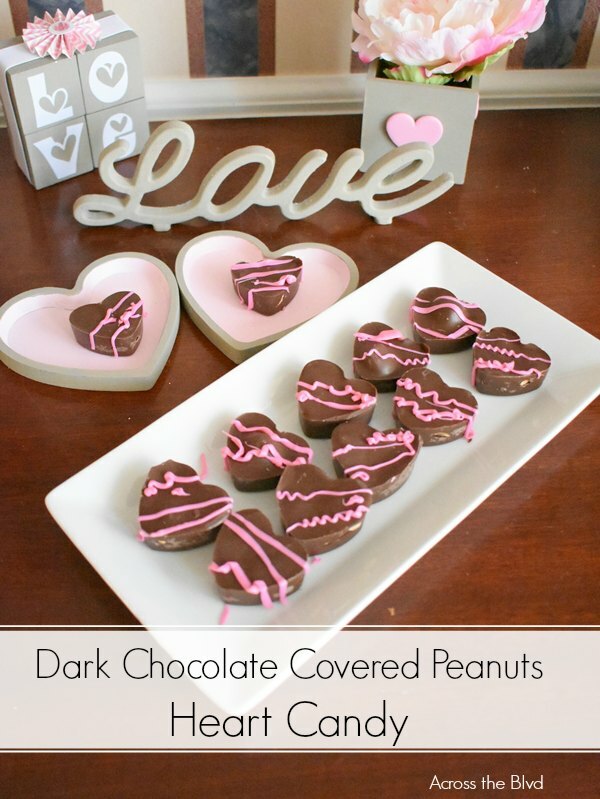 Dark Chocolate Covered Peanuts Heart Candy can be made in under 10 minutes. The key is to make sure to use melting wafers that have lots of rich chocolate flavor. My husband has rarely met a piece of chocolate candy that he didn’t like. He loves the Crock Pot Peanut Clusters that I make over the holidays each year. Those are delicious, but they are time consuming to make, plus the recipe makes about 100 pieces of candy. 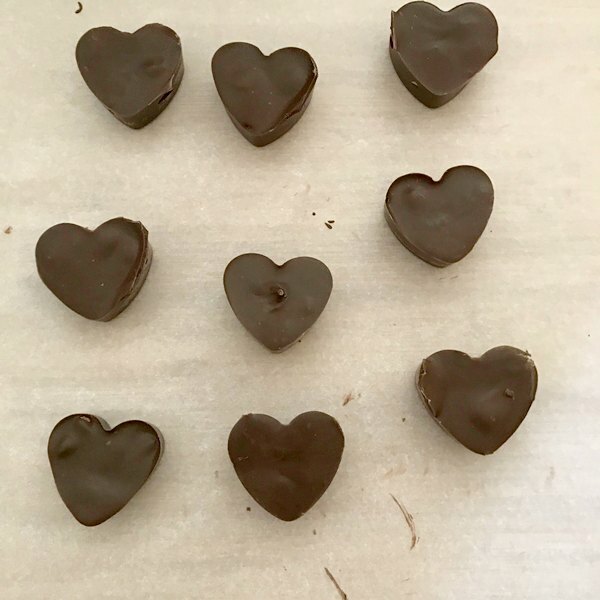 I wanted to make something that combines his love of dark chocolate with peanuts that would be quick and easy and make only a small batch of candy. These are made similarly to the Dark Chocolate Peppermint Meltaways that I shared over the holidays. Instead of using peppermint, these are filled with dry roasted peanuts. I used a deeper candy mold to make these. Ghirardelli Dark Chocolate Melting Wafers are my favorites for candy After melting the wafers, fill each heart about half way full. Add peanuts and cover the nuts with more chocolate. I also switched out the peanuts for mini marshmallows for a few of the pieces. The candy will need to chill about 30 minutes in the refrigerator to set. Once the candy has set, pop them out of the silicone mold. Break away any excess. If you’re more careful than I was when spooning the chocolate into the molds, you won’t have excess. I used a new to me product for the first time with these. It’s a Wilton Candy Melts Drizzle Pouch. The pouch is microwaved at 50% power for a minute, then kneaded, and melted at 15 second intervals until fully melted. Snip off the top corner and it can be easily drizzled over the candy. It worked okay, but, I had a lot of it left over. I’d use it again for a larger batch of candy. The peanuts sank into the candy, giving a smooth top, but the marshmallows didn’t sink down. I like that I can easily tell the difference between candy fillings. 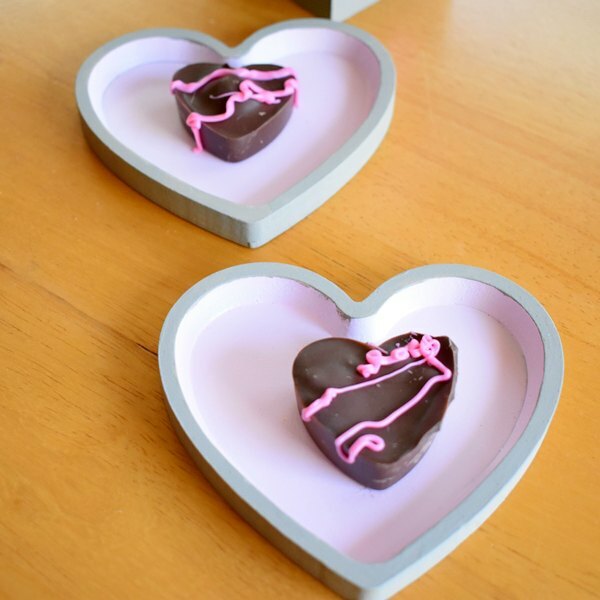 If you saw my Valentine’s Day Tablescape, you saw how I’m using these little hearts at our place settings to hold an after dinner piece of candy. 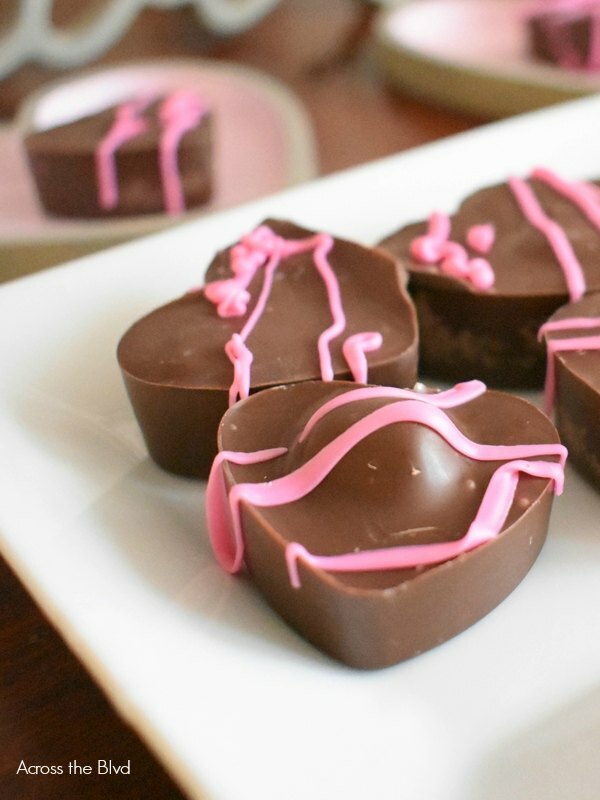 A quick and easy treat for Valentine's Day. Candy melts and dry roasted peanuts are the only ingredients you'll need. Melt wafers per the instructions on package. 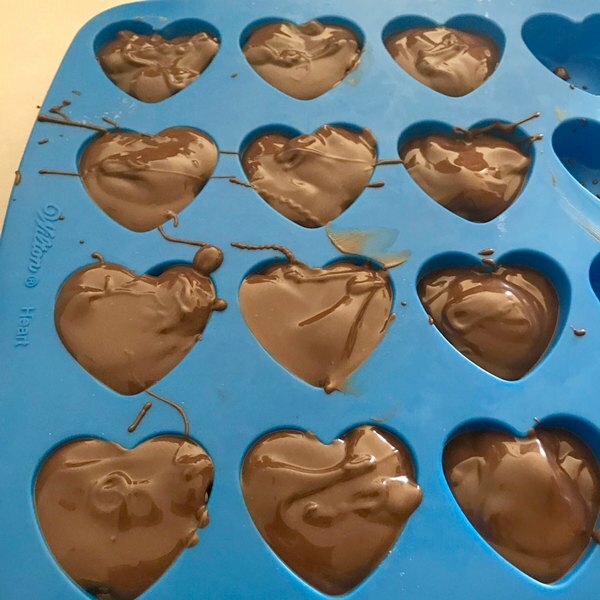 Fill sections of a silicone heart candy mold half way full of melted candy. Cover the nuts with more melted chocolate. Refrigerate for 30 minutes or until candy has set. Melt candy melts for drizzling on each piece of candy. 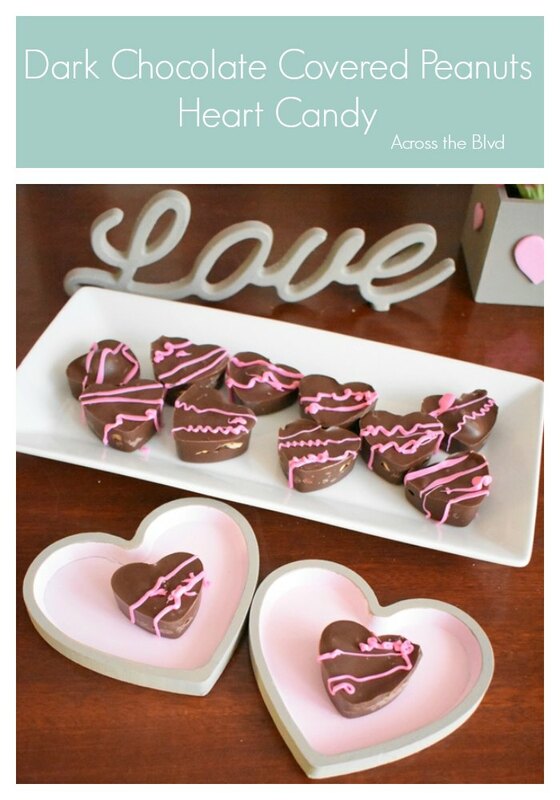 These would be great if you’re putting together Valentine’s Day Treat Bags for children, too. We share at lots of these great parties! Beverly shares easy, inexpensive craft tutorials, diy projects for the home, coastal decor projects, & thrift store find makeover projects all designed to help you create a beautiful home on a budget. Thanks, Carol! They are tasty! Thanks for pinning. 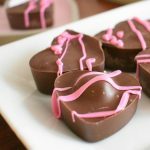 I love, love, love, homemade dark chocolates- especially if they have nuts in them! I’m going to check out Ghirardelli’s dark Chocolate wafers. I have some silicone molds I could use for this! Your candies look mouth watering! Hmmm! These are really good, Gail. You can find Ghirardelli’s wafers at Target or Walmart. They are very flavorful. I hope you enjoy them, too! Thanks, Dee! This is one of my husband’s favorite combinations, too. Thanks for sharing! Thanks! Doesn’t love chocolate? Wow! 🙂 Thanks for pinning! YUM! I am definitely going to try these! They look delicious! Thank you for linking up at Celebrate Your Story! Hugs! I hope you enjoy them, Benita! They are tasty. Thanks for the party. I agree with your husband, Beverly… I haven’t tried many chocolate candies that I didn’t like! A small batch would be needed for me! 😉 Milk chocolate is my favorite. 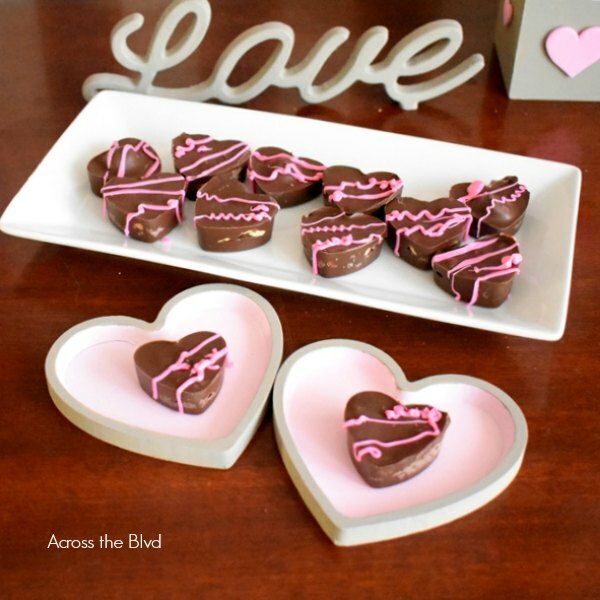 These Valentines Treats are truly pretty, and I love the pink embellishment. Pinned! Thanks, Kristin. He loved them so I’ll definitely be finding lots of other candy molds to make them for different holidays. Thanks for the pin! They are so pretty and look so yummy! Thanks for sharing on Homestyle Gathering, Bev! Thanks, Julie! And thanks for the party! Don't subscribe All Replies to my comments Keep the conversation going! You can also subscribe without commenting.